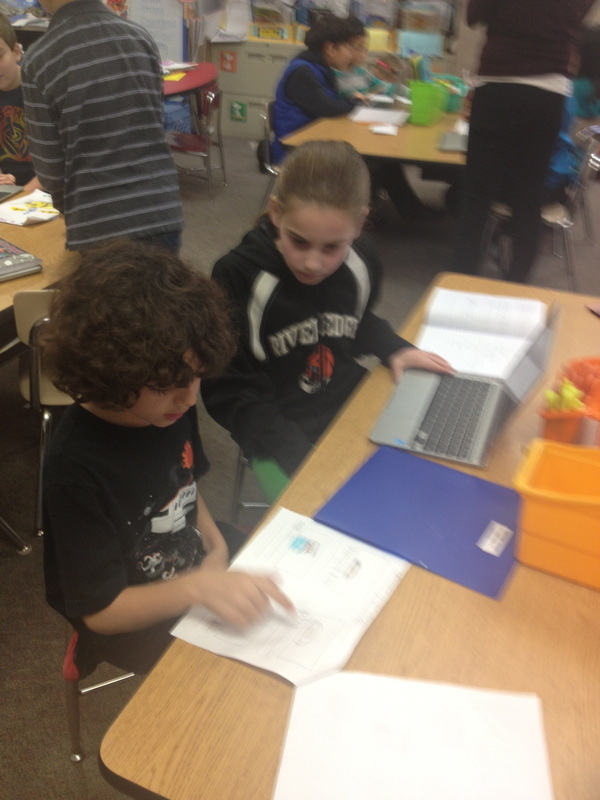 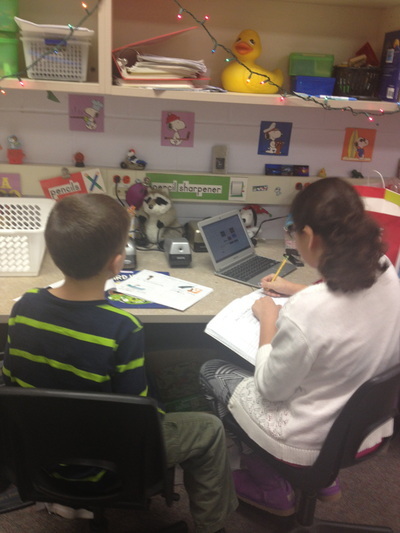 Technology and Spanish in Action! Sra. 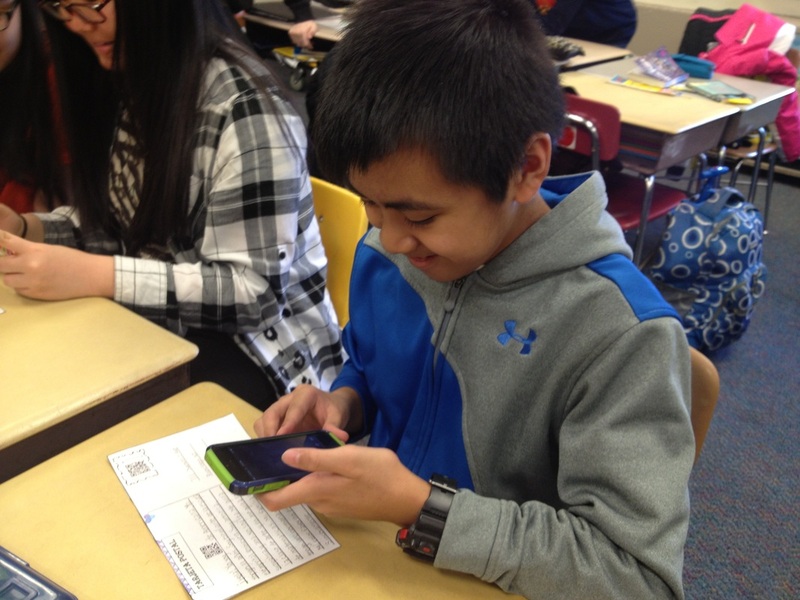 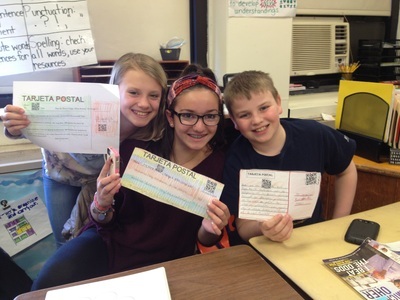 Garcia’s sixth grade students at both Roosevelt and Cherry Hill Schools Spanish Class incorporated the use of QR scan codes into their classroom. 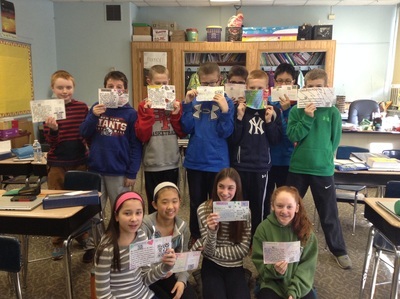 In order to demonstrate their knowledge of describing themselves in the target language, they created a postcard with basic information about them and linked the recording to a QR code image. 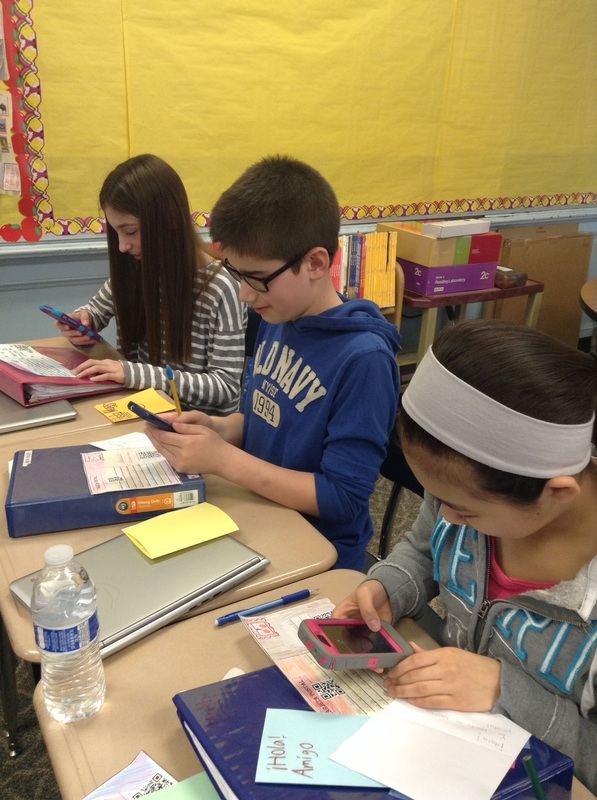 All students were excited to use their the cell phones to scan the QR codes. 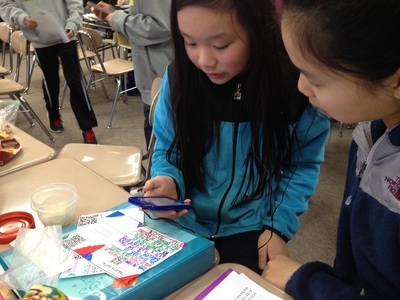 Use your SMART devices to check out a sample of one at the right, and enjoy the pictures of the projects below! 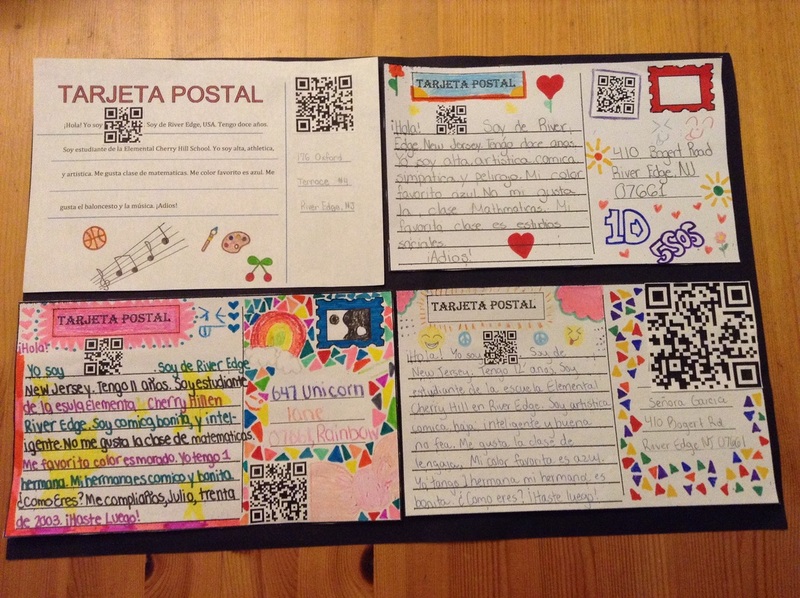 Use your Smart device to check out a sample QR code created for the "Tarjeta Postal" Spanish Technology project! 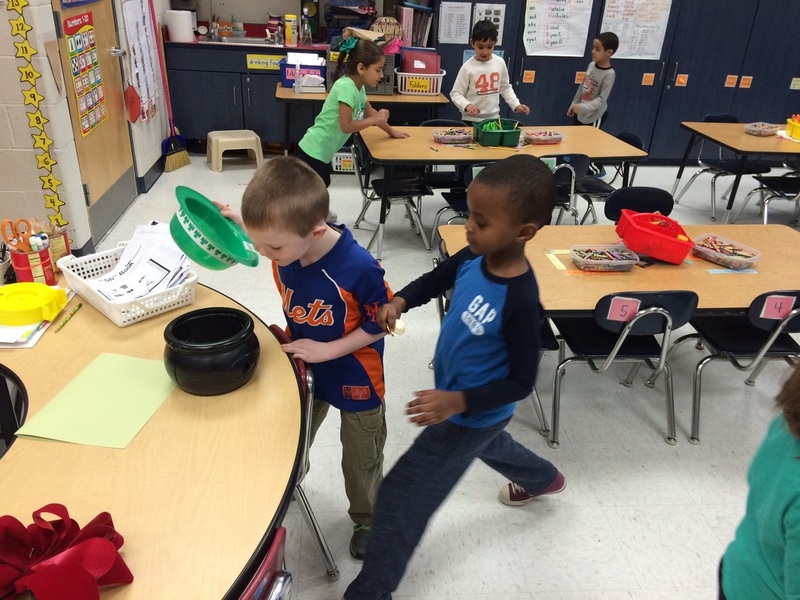 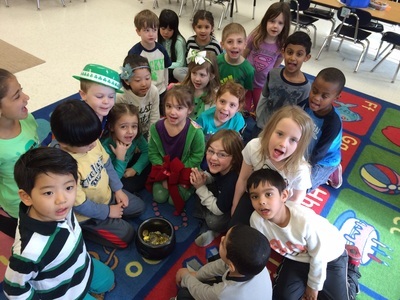 Mrs. Harle's Kindergarten classroom was visited by a leprechaun who hid his gold! 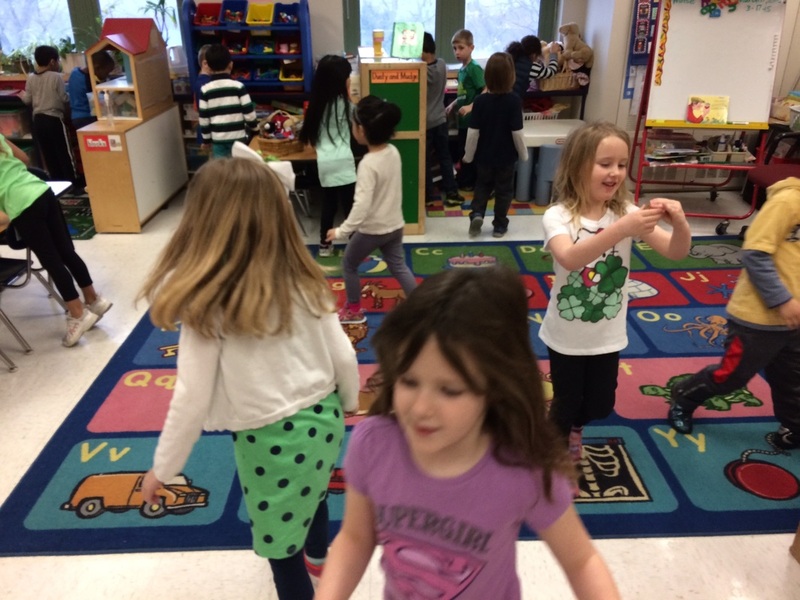 There were footprints everywhere! The students think he chose their room to hide his gold in because kindergarten classes had set traps. 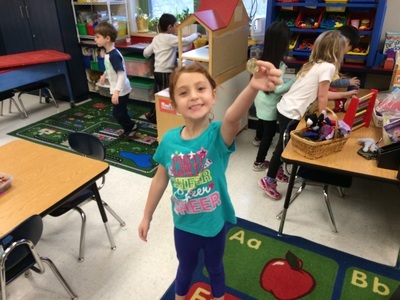 Mrs. Harle's Kindergarteners counted 99 pieces of gold in all. They wrote the leprechaun a letter to tell him that they each kept one piece of gold but left the rest for him. The leprechaun loved the letters written by the students and responded by thanking the students for their fine writing and telling them it was ok with him to keep the gold. The leprechaun let the class know that he is going to hide his gold in a better spot next year! 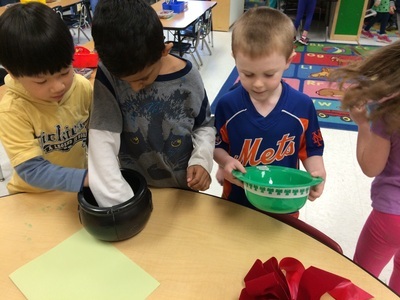 The pictures below show the students searching for - and finding the gold! 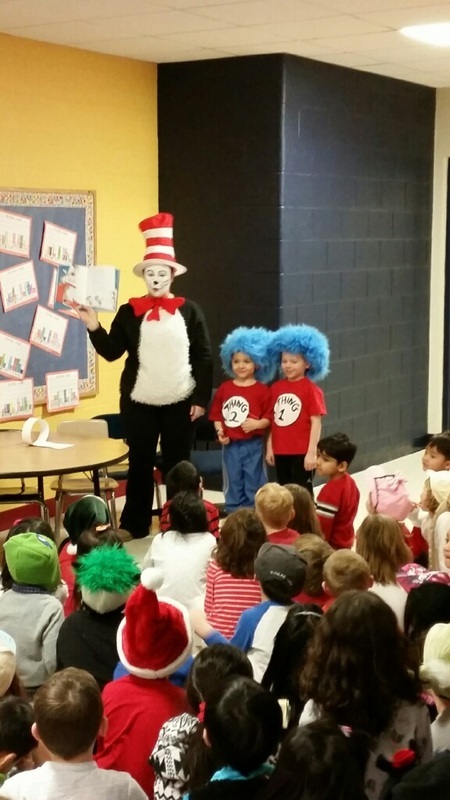 Read Across America Day is a nationwide reading celebration that takes place annually on March 2—Dr. 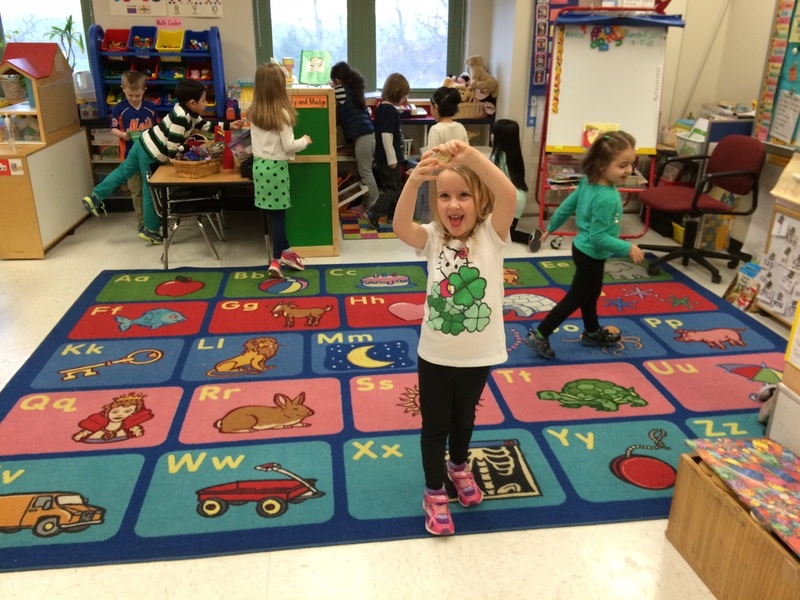 Seuss’s birthday. 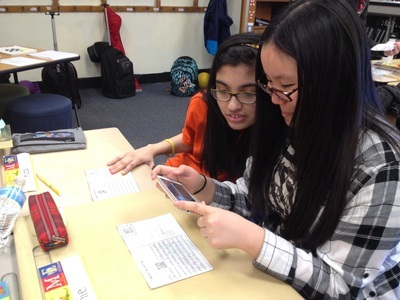 Across the country, thousands of schools, libraries, and community centers participate by bringing together kids, teens, and books, and you can too! 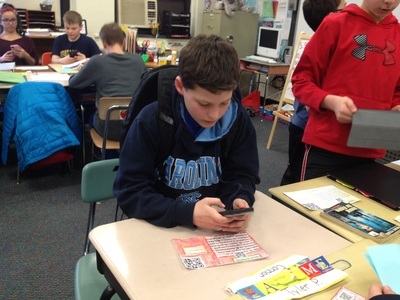 Incorporate these guides and activities to celebrate reading with young people. 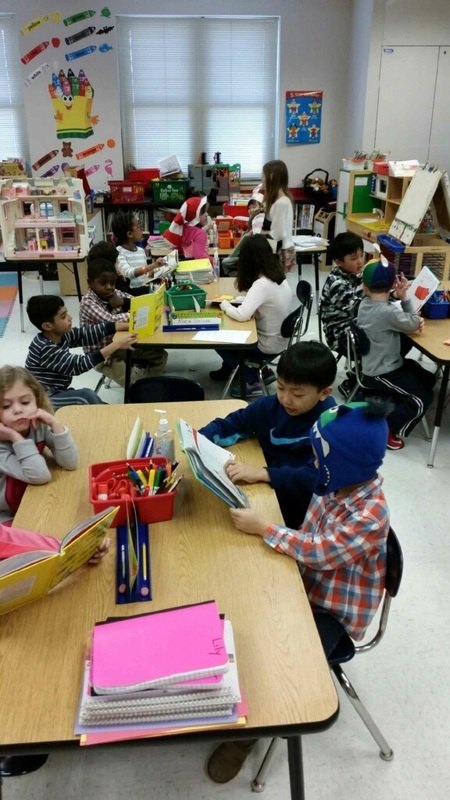 This year, Roosevelt School, Cherry Hill School and New Bridge Center participated by not only reading!! 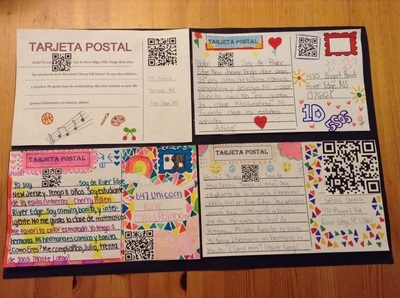 Students and teachers participated in the activities listed in the notice on the left. 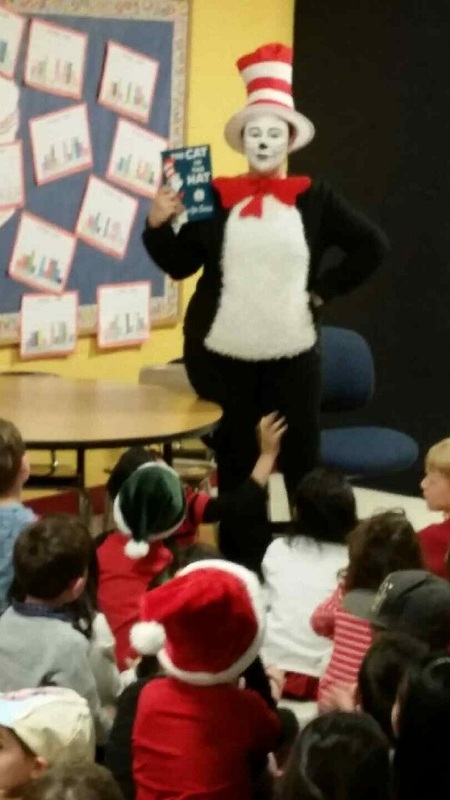 Not only were the activities exciting, but a special visitor at both New Bridge Center and Roosevelt came to see the students! Below are pictures from New Bridge Center of the "Read Across America" week. 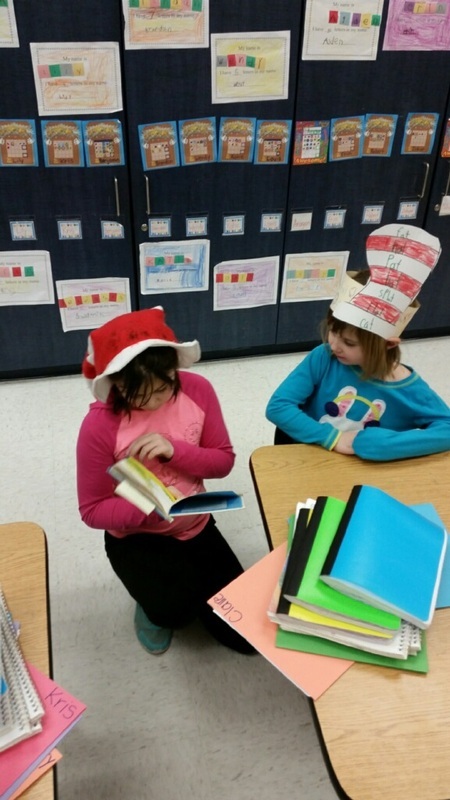 Students had a wonderful time celebrating their love of reading, and literacy truly came alive with the help of "The Cat in the Hat!" Students in Ms. Boucher’s 1st Grade class and Ms. Moran’s 5th Grade class at Cherry Hill recently worked on a special project together. 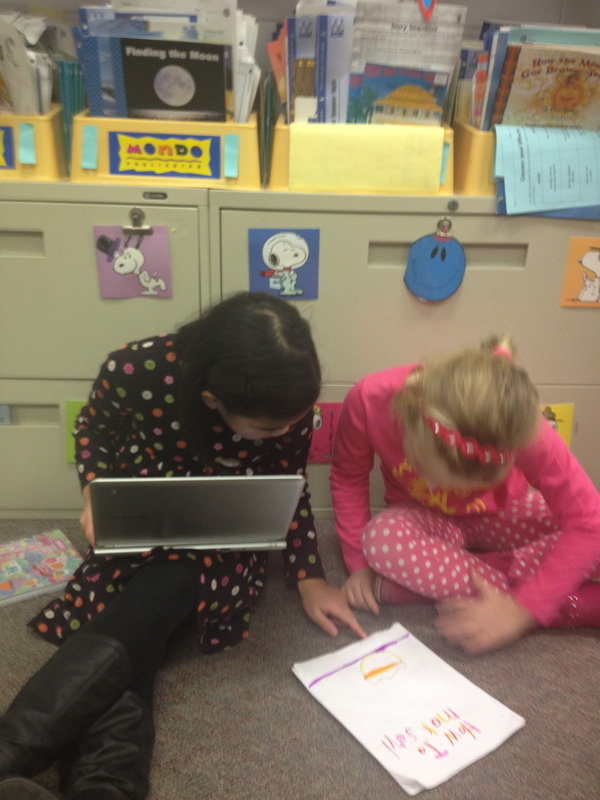 Ms. Boucher’s 1st Graders had written wonderful How-To Books and they couldn’t wait to share their writing with their 5th Grade Buddies in Ms. Moran’s class. After listening to the 1st Graders read their AWESOME books, the 5th Graders helped their Buddies turn their books into spectacular slideshows, via the Google Presentation App. 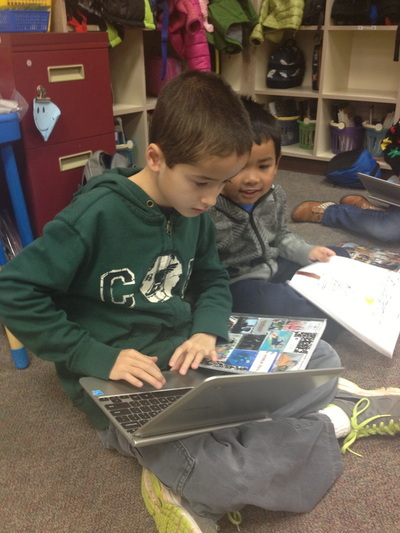 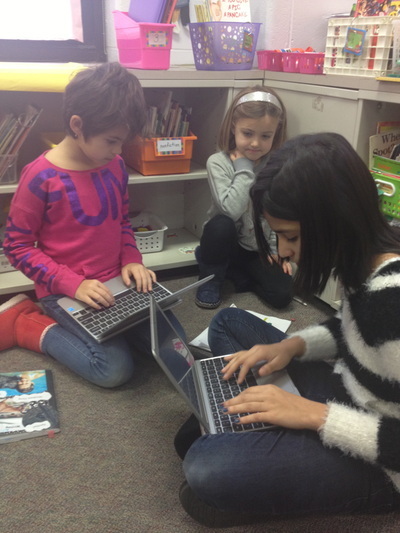 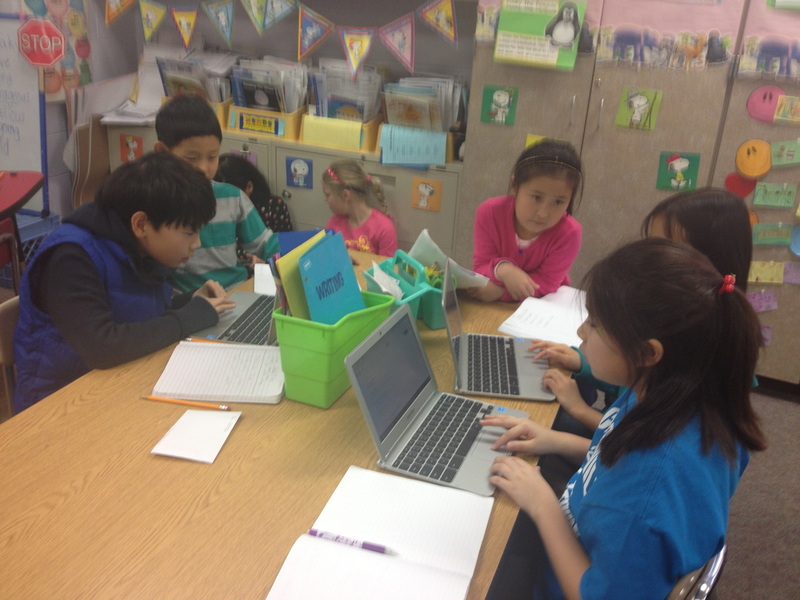 The 5th Graders used their technology expertise to help their 1st Grade Buddies in typing the text, choosing a theme for their slideshow, showing them how to change the font, size, and color, and lots more! 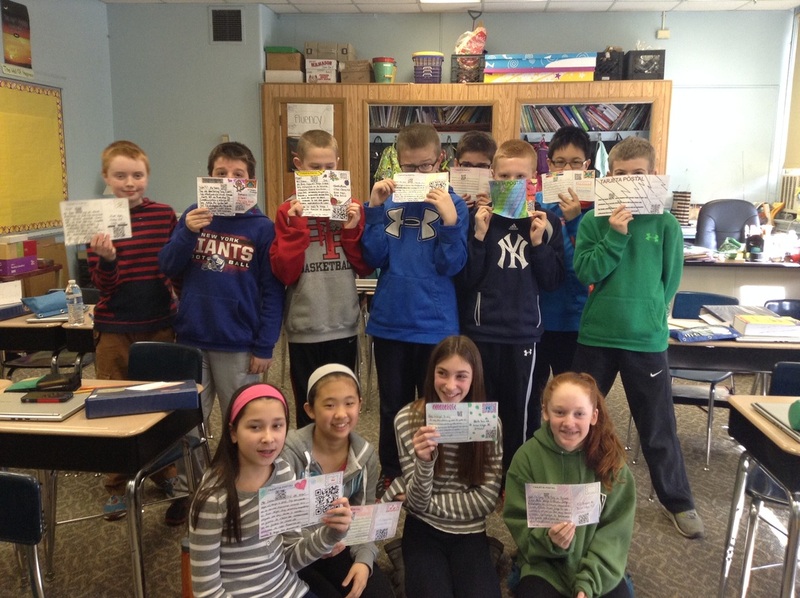 Both classes really enjoyed working on this project together! Below are pictures of the partnership!